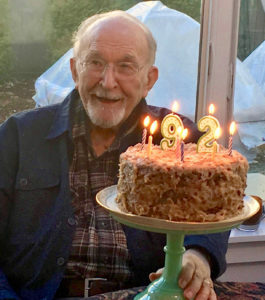 Carl H. Piethe, 92, passed away peacefully on January 13, 2019, at Sunrise Senior Living of Edmonds, WA. He was born on February 19,1926, in North East, PA, to Pauline and William Piethe. He was preceded in death by his loving wife, Shirley Jean (née Page), in 2015. He is survived by his four loving children: Lynda (Bruce) Riekels of Jordan, AR, Christine Kieso of Naperville, IL, Ronald (Sara) Piethe of San Jose, CA, and Annette (Arthur) Vahratian of Mill Creek, WA; his cherished grandchildren Ryan Riekels, Carlene Kieso, Greg Kieso, Robyn Ostrander, Mark Kieso,Brian Piethe, Mark Piethe, Kristie Keith, Alyssa Vahratian, and Audrey Vahratian; great-grandchildren Layne, Landon, Sam, Luke, Charles, Page, and Willow; and his brother, Gerhardt (Margaret) Piethe of Concord, CA. 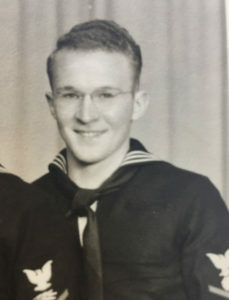 After graduating high school in North East, PA, Carl served in the United States Navy during WWII in Bremerton, WA. He married his high school sweetheart, Shirley, on September 1, 1948, and they enjoyed the next 67 years of their lives together. Carl graduated from the University of Detroit and went on to work for the Detroit Edison Company, from which he retired after a long career working as an electrical engineer. In 1997, Carl and his wife moved to Mill Creek, WA, where they were able to enjoy retirement years with family. Carl was a committed family man who had varied interests; he enjoyed vegetable and rose gardening, creative woodworking, home improvement projects, following sports teams, fishing, and travel. He enjoyed the results of Shirley’s prowess in the kitchen, especially anything with raisins. In later years he became a reminiscent storyteller, always enjoyed jokes and phone conversations, and developed an avid interest in hummingbirds. He was a member of Augsburg Lutheran Church in Redford Township, Michigan, and later Mill Creek Community Church in WA. Although Carl will be sorely missed, his family takes great comfort in knowing he is walking in God’s Garden with his beloved Shirley. Memorial donations may be made to Mill Creek Community Church, 16415 North Road, Mill Creek, WA 98012, in memory of Carl. An Honorable gentlemen with the gift of gab,, teaching, guiding, and sharing interesting life experiences. My folks shared a close bond with Carl and Shirley having shared the journey of from the farm life to successful careers. We miss you … you made the most it! Over the many years Carl has been a great friend and inspiration. The values that he expressed—- integrity, hard work, honesty, politeness, mutual respect, kindness, humility are from a bygone era. Carl lived these values by example. Carl also had much to be proud of—- his loving family, who he spoke of fondly and with great protectiveness and affection, and pride in each of your’s accomplishments in life and in your children. Obviously Carl had many talents. His skills as a master carpenter, Gardner, and lover of plants, creative writing expert par excellence, knowledge of use of many sophisticated tools, his love of fixing ‘panini,’ sandwiches, and cooking eggs and sausage breakfasts , and many simple pleasures in life are talents we all aspire to, but somehow don’t make it to Carl’s level. He was generous in sharing his talents and innate gifts with strangers like me. It is an understatement to say we will all miss him dearly.